Day in and day out, without exception, our two eyes tell us the world is physical. It’s material, tangible, “provable.” Most everyone around us seems to agree. Some even make fun of those who genuinely believe, sense or actually perceive that there are deeper realities right here right now, in front of us, intertwined with what we perceive as our daily reality. For centuries, scientists told us this was the case. There were no other beings, no other possibilities. Only our senses dictated what was true and what wasn’t. In so many ways, science, for a long time, was as dogmatic as fundamentalist religion. Psychology books even mocked those who saw auras. Fortunately for us, finally, in the last century, quantum physicists have begun to understand that everything that exists in the whole universe, with no exceptions, is made up of energy. They understood that this energy is not fixed. It constantly flows, moves, and even changes form. Nothing gets lost in the universe. Not sound, not light, not spirit. In fact, recently, these quantum scientists have even discovered that the deeper you go into matter, the more space there is. It’s all “empty” in there. Like inside our bodies, what is the force that inhabits our bodies? Just tangible organs made of matter? Or something much, much deeper that moves through us? Beyond the atom is the universal soul moving through each and every one of us – through every human being, every animal, every plant, and even every inanimate object. It’s called the Universal Energy Field. What we see as tangible is just energy vibrating slowly, slow enough that our physical eyes can detect it. Energies that vibrate quicker are either less or not visible at all to most of us. In the whole scheme of this universe and many other universes, we humans operate on lower frequencies, which is why we mostly experience life as a physical thing. Everything is a mass of energy, but we easily forget that. Our universe and its universal field has a unique vibration. Within this energy bionetwork, each one of us is a unique manifestation. We have our own unique vibrations – but we all fall within the parameters of the universal field we’re in. It’s called being part of a species. It’s like how certain species have a certain number of legs, eyes etc., we all fall within a certain frequency. Called the aura, our Human Energy Field is in harmony with the Universal field we’re in. When we die, we leave our body behind, yet our auras continue to exist. Our innate energy does not disappear. 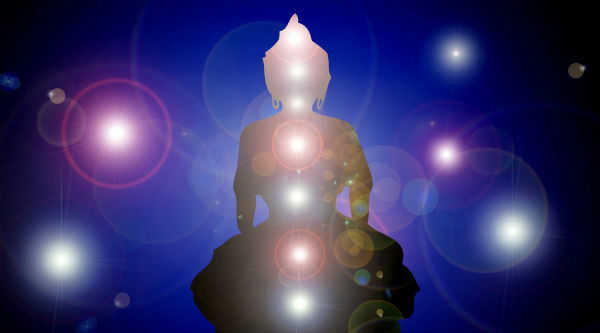 Our physical body is coded in our first, second, and third chakra. When we pass away, our upper three chakras (fifth, sixth, seventh) copy the information from the lower chakra, and when it’s time to reincarnate, the upper chakras recreate the lower three i.e. our new body. 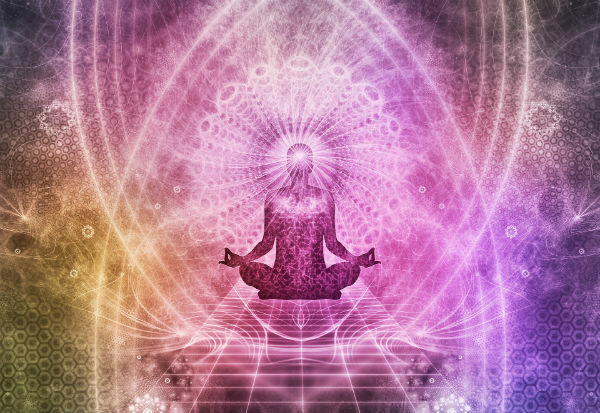 Our fifth chakra contains information from the first, our sixth chakra contains the information from the second chakra, and our seventh contains information from the third chakra. If you’re wondering what the fourth (heart) chakra does, great thinking! It’s where all the information – everything – gets synthesized. The heart chakra connects our soul with our body – it’s the ultimate life center. When we’re in a physical body and living on Earth as a physical being, our chakra are the conduits through which our system communicates with the environment. Each chakra is like a mouth – opening and closing, breathing in and breathing out energy from the environment. If our system is a gated garden, our chakras are the very gates. How they take the energy from the environment determines how we perceive and experience the environment. How they give energy back to the environment determines what we contribute to this world. The two are tightly interlinked. To lead a good, balanced life, our chakra must be balanced. Not too closed or too open. Not torn. Not disfigured. The health of our chakras determines how we live, ultimately. That’s why it’s super important to tend to chakra health. 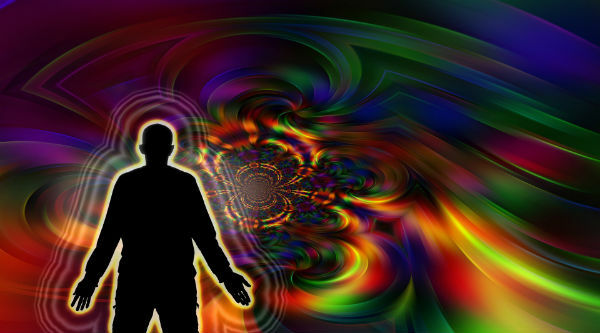 Would you like to feel the Universal Energy Field? Here’s a simple exercise to begin to see it. Go out and find a quiet grassy area where you won’t be disturbed. Lie down on your back, relax. Make sure it’s a sunny day with a blue sky. Continue to relax and breathe slowly. If you find yourself to be stressed or anxious, take the time to calm down first. You can meditate first, if you want. After some time, you will start to notice miniscule squiggly patterns in the air, in front of you against the sky. They’ll look like small white balls and maybe some black spots too. You might notice trails or paths. These might look like they come and go. They might be fast or slow. Stay where you are and continue to gaze. Begin to look to the right, left, and in different directions. Soon, you’ll see the larger pattern – the whole sky over. (For more inspiration, read Barbara Brennan’s book, Hands of Light). The universal energy field is not three dimensional – it has more dimensions. Try to look at life from that perspective, that 3D is a very limiting way of experiencing life. The more you open yourself to it, the easier it will be for you to be in sync with the universe. You’ll be more in sync and harmony with the universal energy field if your aura is healthy. It’ll be easier for you to sense energies and to see the “unseen.” If you have severe blocks in your chakra, it might be more difficult for you to relax and see the universal field. Not sure about your aura? Don’t know where to start? You can always work with an online psychic. Many psychics can do distance readings, connecting you through the universal energy field, sensing your being, needs, wants, soul desires, karma, and the state of your aura. You can rank online psychics by ratings and find a good, proven one who can help you. Our sister site Kasamba gives you three free minutes with each psychic who’s new to you. This way you can get to know your psychic a little bit, begin to ask your questions, and see if their experience matches what you’re looking for. See if you like them as a person. If it’s the right psychic, simply stay for a paid reading. After your reading, remember to write a review and rate your psychic. This will help others who are looking for psychic advice online. It’ll strengthen our online psychic community.